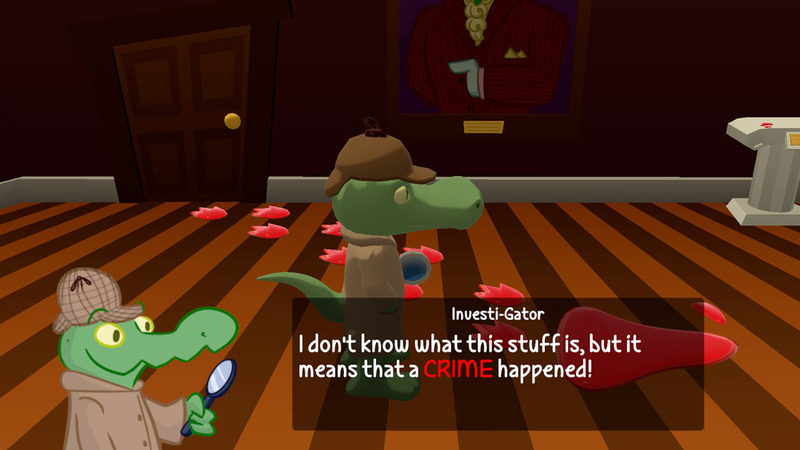 "A fantastic and funny 3D crime solving game"
Investi-Gator 2 is humorous 3D crime solving game where you play an alligator who is also a detective, the game includes two chapters where you must try to solve two separate crimes, although it’s not particularly challenging it’s very, very funny and looks fantastic even breaking the fourth wall to make some jokes about how well rendered certain times are compared to the rest, however the overall 3D style is very charming and it does look great. 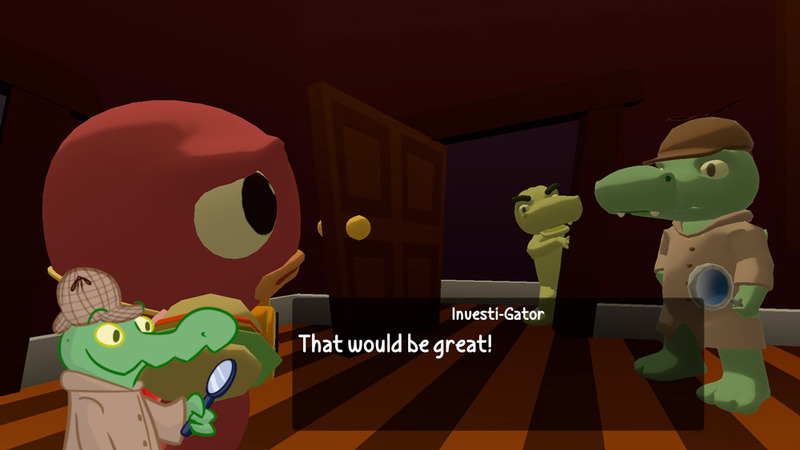 The dialogue is well written and suitable for all ages with the strongest word being used is “Gadzooks” and even what looks like blood in the first crime turns out to be just ketchup! 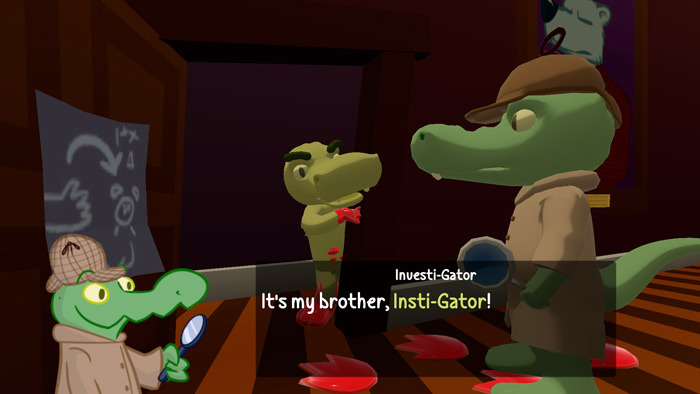 Investi-Gator 2 is suitable for all ages and a lot of fun hopefully there will be further chapters to come in this wonderful little game, with its wonderful buffoon like protagonist who often misses clues that are right in front of his face but with his wonderful dialogue and inept detective skills it’s hard not to be endeared with our hero. 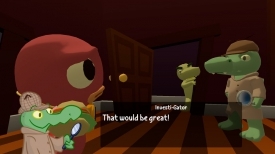 A great little free game that should please people of all ages and looks fantastic with some wonderful humor and is definitely worth your time. 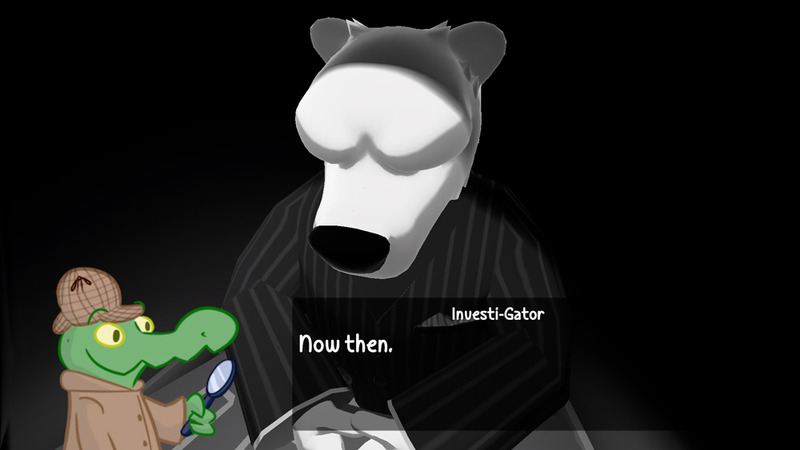 You can download Investi-Gator 2 here for free.